About Oh, the Huge Manatee! How to Play Oh, the Huge Manatee! 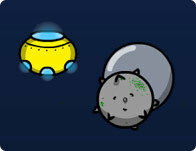 Use the mouse to move the player, and left-click to set off a grenade. Score will be added to your profile if you are logged in! Find Similar Games to Oh, the Huge Manatee!